A classic white floral sympathy standing spray, with white carnations, white mums, snapdragons and Monte Casino. 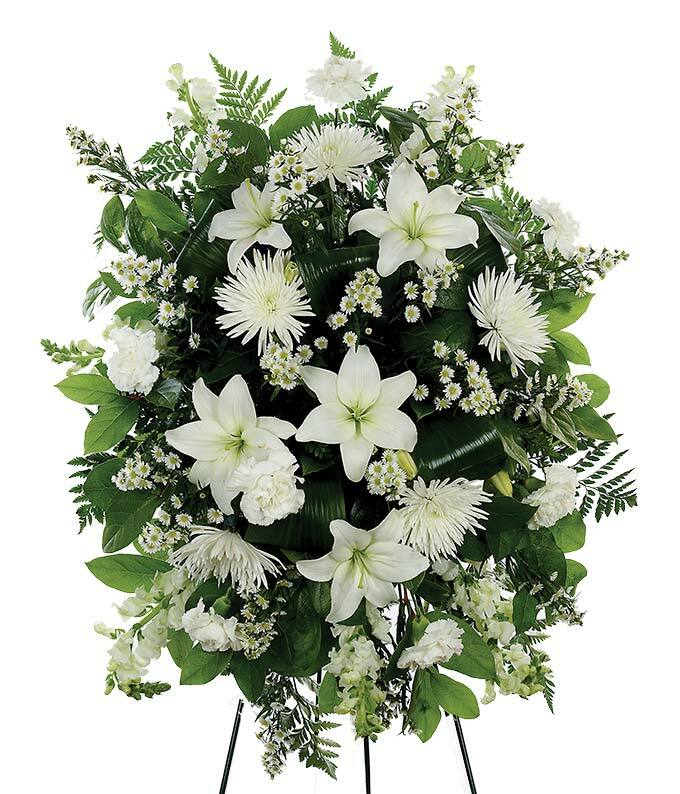 Hand arranged by a florist this all white funeral standing spray is a classic gift to send in honor of someone important. Measures 32"H by 21"L. Deluxe and Premium sizes include beautiful white asiatic lilies, the regular size does not.